That’s right, folks! I am offically 7 months or 28 weeks! Doc says everything is looking good and that is great news! The nursery pics are coming soon…we almost have it all done! My friend Andrea is doing a week of gratitude and it got me thinking how greatful I am for life and everyone around me! It’s overwhelming sometimes when I really think how great God’s blessings are! Next postthe nursery is DONE minus Brooklyn! 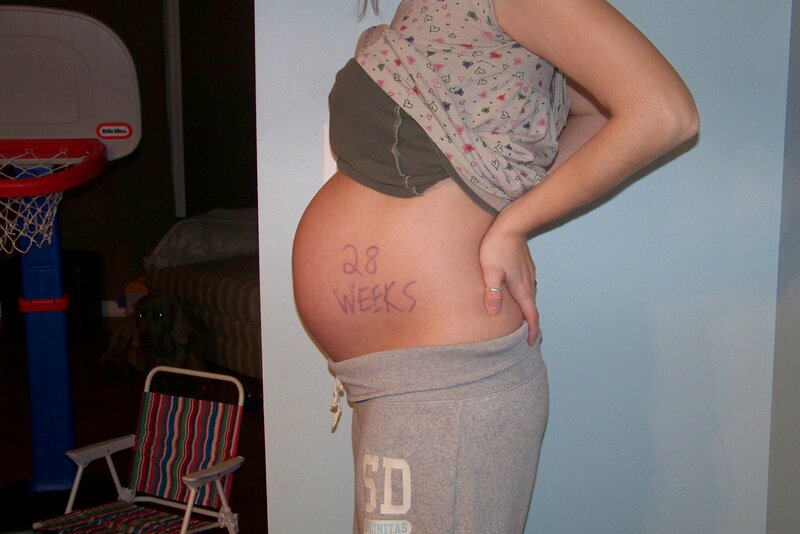 So thats what a 28 week belly is suppose to look like…haha good to hear all is well. Aww! Look at you and baby Brooklyn!! Hi baby- baby!!! I can’t wait until I actually SEE her!! See you soon!! Can’t wait to see the rest of the nursery!!! love you!! !